Pro Bowl cornerback who was named the NFL Alumni Defensive Back of the Year while playing for the Atlanta Falcons in 2011. In 2014, he signed a 4-year, $32 million contract with the Miami Dolphins. He was a 3-time Division II All-American at Shippensburg University. He signed with the Falcons as an undrafted free agent in 2006. He won World Bowl XV as a member of NFL Europa's Hamburg Sea Devils in 2007. He married Miko Grimes in 2010. He has a son named Aiden. 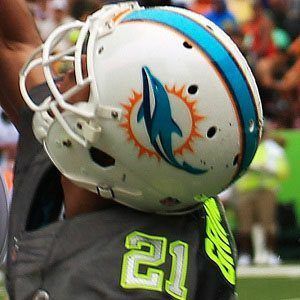 He has played alongside fellow cornerback Cortland Finnegan in the secondary of the Miami Dolphins.